The Ketsueki man sat on the edge of the snow covered river bank, his attention set on nothing more than the water itself that rolled by. He had his arms behind him in such a way that they would act as props to hold him upright. It was cold, that was something that no one person would be able to deny but thanks to the blood that flowed through his veins, it was not even a minor hindrance. He would pull himself forward, bringing his arms around and placing them onto his knees as he drew them up. He would then look down at only one of his hands, slowly letting his fingers curl up into a well packed fist before letting them spread out in an open hand once more only to repeat the process. The more he would stare at his hand with his slit like eyes, the more he would think of something... something that he would soon come to realize. The blood user would bring himself up to stand on his own two feet. He would turn around and begin to walk to the forest of trees and snow. He came to a stop just before a single tree, this tree was large in size, think in its roundness and it was overall a grand thing. There was then a sudden shake that caused a few branches of the tree to shutter and release loose snow from the very same branches. At the base, Lee had an out reached arm, his fist was resting against the tree. Lee slowly withdrew the fist and then just as quickly struck the tree once again, causing a similar reaction to the tree as before with little difference in between. He would draw his fist back and continue to repeat the produce the same result, over and over again. After awhile, the area that he had been striking had began to wear in and the knuckles of his fist were starting to get brused and just a little bit bloody. He would stop and shake his hand as if it was starting to grow numb. He would ball up his fist yet again and look at his knuckles as he felt he had accomplished something now and progress was being made. He would then turn his attention back to the tree and take a deep breath before he would crack his fingers, his thumb twitching seemingly out of place whilst the other snapped accordingly. He would then hold his free hand out to rest it against the tree, just beside where he had been striking previously. He would begin to focus, letting his chakra and his bloodline flow, feeling each vein and each drop of blood on the surface of his fist moving with power. He would then draw his fist back once again and throw it forward and, just moments before the fist mad contact with the tree there was a sudden shift in the air. There was a silence in the air as Lee would hold his fist at the area that he had been striking. The blood user would slowly withdraw his hand as there was nothing different in the side of the tree other than the fact that some of the blood that had been coming from his knuckles was now on the tree just a bit more. He would slowly open his fingers and then massage his hand with his other. He would then shake his hand as if to get feeling back into it. This was surely something that was not going to be as easy as he would look at the tree and then out toward the snow covered ground and then the water of the stream. He then began to wonder just how his family would handle this. He wondered if he would have learned all of these techniques sooner if he had decided to stay. He would raise his hand up to let his fingers of his free hand slide through his hair as he would take in a deep breath and then released it. When he released it, the air he released would take shape from the sheer cold. He would then realized that due to his unique abilities of blood that the cold was no where as cold as it should be. He was thankful for this as it allowed him to withstand more temperatures than normal individuals and allow him to train as such. It was then that he would look around once more. Training like this was not something that was always good but at the same time, it would at least make sure that they would not know of his talents. If it was one thing that he knew the most about was that keeping your talents hidden with other things that would look to be more important or at least make others think that there was nothing more to come from him. The blood in his veins was a trick that he did not want to show off like most shinobi would. He would think that if his swords were to become useless or out of reach, that his body would be his last line of defense and would have to live to escape. The very essence of life would bring death to others. His smile would only grow at the thought. He wondered if his family ever saw it as a gift or a weapon in such a way as he did. It gave him a warm sort of feeling that he would clench his fist once more and look back to the tree he had been striking. He would draw his fist back and hold his free hand over it, as if protecting it as he tightened the fist more, the chakra beginning to surge once more but this time, with more propose and dedication. He would then move his free hand out toward the tree and draw his fist back and in one motion, throw his fist forward as he spoke "Chiton, Chimame, Blood Blister!". In the moment before impact, the fist burst into a fist of blood and chakra. The entire section of the tree blew out and splinters burst out the back and the tree came falling down to the sound, its echo shifted through the forest as Lee continued to smile his smile, more than content with the fist strike. The water of the stream was calm and it was pleasing to the eyes. Any one person that would look upon it would think the same unless they were the type to disapprove of the things that others would like, Lee himself knew of far to many of these kinds of people. It was something that he had learned long ago that the world was far to plentiful on. There were to many beautiful things to have that sort of mindset. At least, depending on the situation. Lee found beauty in a lot of things and more over, people. The life force that drove the blood in their veins were something truly remarkable. Something that not many understood as he did but even still, it was something that he himself would grasp at straws. It was not like he could obtain the bloodline limits of those people but to simply be around them was something in and out of itself. For that sole purpose, he had to not only become stronger but to perfect himself so that he could bring others under his will, willingly or otherwise. That would mean that he would have to let his focus turn to not just the blood portion of his jutsu's but the basic and fundamental section of it, the water. He needed to remember just what kinds of things he would need in the off chance that his blood was not something he could show, something that he would have to keep hidden from unsuspecting eyes which was something he had to do often. He would move himself closer to the flowing yet frigged waters. He did not need to use the water but it simply being near would help him settle his mind and focus. He would slowly raise his hands up and clasp them together, letting them form the hand sign for the tiger. He would close his eyes but from an on lookers prescriptive, nothing would seemingly change. The slit-like eyes would not change but ever so slightly. He would feel the chakra within himself, slowly but surely shifting, like the water that was near him. He would aim to let them match up as he was in no hurry so he would not train on just how intense he could use the jutsu but would simply start with a simple and basic shot. He began to mold the chakra within himself, he could feel it swirling around in the pit of his stomach but not directly in it, it was a weird sensation when one really stopped and took the time to feel it outright. His eyes would slowly open as he would then lean his head back and then throw it forward, his mouth opening wide as water would form seemingly from his mouth alone and be ejected from his mouth. The shot was fast but was clearly visible. It was a sphere of water that was about the size of a softball and it move through the air in about the same way as one would think. It finally came to a stop in the side of a tree stump. Lee would raise his hand up to wipe away the water that now dripped from his lips as he would take a look at the impact from a distance. It looked like it would surely hurt someone and even bruise bone if hit at the right distance but that was simply the smallest amount of pressure that he could cause with the jutsu but it would be useful in an attempt to calm someone or distract someone without the worry of any sort of lethal force which he was sure he would use in the future, given time. The smile on his face would slide just a little more, this was a smile with a purpose behind it. This was a smile that had its own goals and these goals tended to find their objectives. Lee would take a few more steps back, turning around to the stream as he would start sucking in air between his lips, as if sucking a drink through a straw that wasn't there. Water from the stream would begin to swirl in a small portion, slowly rising up and out and through the air. It would then link itself to his lips and begin to fill his mouth, the cool water chilling his lungs with cold air but it was a refreshing feeling, it was a feeling that reminded him of home which brought about a new set of feelings, feelings of warmth and of family but at the very same time, it brought on a wave of anger and hate that would never be to far behind. These feelings that were of the defensive posture of the hidden glacier were something that he disliked in great amounts. The water would cut itself off and one half would fall back into the stream. The other half would circulate its way into Lee's mouth, causing his cheeks to swell as before. He would quickly draw his head back and aim his face toward the sky while focusing on the technique, molding the chakra into the water. The already existing water made the process far easier than his first attempt, using the free elements made for better control and usage than making it from scratch, that much was for certain. He would bring his head back down in a quick but decisive set of movements that would bring forth devastating effects. As soon as his mouth opened, the shot that came from his mouth was actually surprising. For the amount of water that he took in, it seemed less but there was more than just one, that much was for sure but that was only if one was able to see them in the first place. The tree that was the target showed just the full exstent of this technique as there were several snapping sounds and shrapnel of wood chips would fly from the tree. Once all was calm, there were several small bullet-like holes in the tree, digging deep to carve in little black holes. Lee would raise a single hand up and use his thumb to flick a droplet of water from his chin in a satisfied grin. Lee had taken a small break from his training, there was nothing to be gained from passing out in the snow or falling off into the stream and being drug down it. Being pulled in a direction that you don't want. It was an all to familiar feeling that Lee knew all to well. He would bring himself down, crossing his legs and sitting in the snow, the cold air would never be felt against his blood coursing skin. His bloodline limit was something that always kept his temperature at a solid, both inside and outside, never to change against his will. It was one of the most helpful factors that kept him through the cold and deadly nights while he was part of the land hidden in the glacier. He would slowly brings his hands up, each moving to the opposing arm, clenching them as if to hold himself together. The usual ever closed eyes slowly opened but only slightly, looking at the moving water in front of him. The current, moving on no matter the opposition. A ninja could do great things, bend the elements to their will, create them and use them to do their bidding. But when a ninja dies, that is it. People think that their will would be carried but it seemed like a child's dream to cheat death in such a way. Even the blood in his veins was a river, moving its course. He may be able to stop it for certain reasons, quicken its flow or slow its movements, in the end, it would simply do as it wished. He would tighten his grip on his arms but then stop as his eyes would lock on the stream. It was so cold but the water had never frozen because of the movement. Because it moved, it could break free from the cold that would otherwise trap it to a stop. It was then that he slowly let his eyes return to the closed appearance they were usually at. That was it, that was what he could use against all sorts of foes and even allies alike. He would rise to his feet and move his arms down to his sides. He would take in a deep breath and slowly began to raise his right arm but then gave way to a pause he there was something missing, his head would turn to each side, looking behind him as if the answer would appear. A skill such as this would require a target, regardless of what it was, it needed to have its own mass and weight. Living could be done later, for right now, he needed the simple thing of an object. It was then that he would turn around and come to face the tree's and would be objects that were once tree's that had fallen victim to his training already. One seemed a good enough size, not to big and not to small. It was the best for the situation at hand and he was not one to turn it down. It did not take the slender fingers to take hold of one of the broken branches that still connected itself to the side of the tree. He would lift it up single offhandedly and with seemingly little problem. His own weapons far outweighed that of lumber and to call this problematic would be a dire insult on both his pride and his own well being. All of this training would be for not otherwise. While most of this focused on the ninjutsu, he was also training his body, ever forward in his progress to better himself and his own ninja way. A strong soul dwells within a strong body and a strong soul. It was this that would carry him on, it was this that would ensure that till his dying breath, he would strive forward. Pushing, pulling, clawing, cutting, ripping and gnawing at any and everything that got in his way. He paused for a moment and realized that he had began holding onto the branch tighter than he had originally thought, it had given way to the pressure but was nothing that would demand worry, it was a simple log anyway so long as it did its job, he could use it. Like all things in the world, everyone was to use someone and something to their advantage. The way of life demanded it. No matter how peaceful or how docile, one needed to use people to get other things. Even the kage's themselves could not hold themselves against their people and so, they aimed to please. It was no different for him, Lee had to find ways to both intimidate and become admired in order to make his true inhibitions flourish into the world with nothing to stand in its way aside from cold air and opportunity. Opportunity that he would have to grab with his own two hands. Clear a path with as many blades as he could muster. Call to arms any and all that would come to his aid for what ever lie he might have told. Lee let his arm lower down as the log would hit the snow, impacting it underneath its weight. He would take in a deep breath, remembering all that he had thought in the moments leading up to this point, moving and capturing. It was all one large cycle that he had to make come full circle, that he had to make sense of and use as how own. Lee would then, in one mighty swing, fling the long at an arc and release it into the air above him. The attempt was not to let it come down atop of him but so that it would fall at his side. Lee would quickly draw his hand in and speak to himself "Suirō no Jutsu!" The log came down and as it came to be about the same height as Lee's chest, it never touched the ground. The long was smack dab in the center of a sphere of water, not moving an inch but the water over the sphere's edge seemed to swirl and mix within itself all the same. Lee's hand had entered the ball and was seemingly the one to keep its shape by sheer will alone....that and the chakra used to mold it but he liked to think that his will played the greater factor. He would need to practice this more than once to get the full hang on it but for the time being, knowing that he had done it meant that the future was bright. The use of water in one's skills was a feat in its own right and to be a ninja that honed only the one element, Lee found pride in it. While he could be at a distinct disadvantage, he found solace in his art. He knew that the water that he used was only part of a greater whole but his pride would let him think that it was the superior element. Lee would turn his attention over toward the flowing stream and would make his way over toward it and stop at its edge. He would slowly remove the sandals from his feet and let them sink into the snow. His toes would loosen in the cold frozen water but it felt all the same to him due to his own bloodline limit. He would then take a few more steps forward and into the flowing stream with a bit of a smile, this one was not like his normal one. This one was one that could almost be considered sincere from an outsider's point of view. The water was cold, anyone who said otherwise was either lying or simply putting on a brave face. But with the increased blood flow of his bloodline limit, it felt cool but not nearly as cold as it should be. This was the advantage that he held with being from the Ketsueki clan and while it may seem small, in a land that did not forgive the unprepared with the cold hard facts of the tundra, it was a heaven sent. It was also something he never forgot or took for granted. Being in the water made him think on the more refined and powerful jutsu's. There were so many that came to mind and of all different kinds. Some he had seen in person, some he had read about and others he had heard of from others during his traveling. He would bring a hand up to his chin in deep thought now. He had seen a man in the village hidden in the glacier preform a technique that he had tried many times before but simply could not preform such feat. There were simply so many things involved in the jutsu that it was mind boggling. There were so many hand signs involved that it felt like it was something that was to be used in a sneak attack rather than during an actual fight. But at the very same time, they themselves had only used the skill a few times prior and that meant that there might be easier ways to use the jutsu, hopefully with far less hand signs. But this got Lee more than curious though, even if the skill had its drawbacks, the positive side of this was that it was almost neigh unstoppable once completed and left nothing but destruction in its wake. The thought of this sent a tingle down his spine and a wider smile on his lips. What was the harm in trying it now? He was older, far more competent and he had tried it a few times in the past so it wasn't like it was his first attempt. It was simply his first attempt after leaving the village hidden in the glacier. He knew all of the hand signs and he would take his time in his first attempt. He would raise both his arms up and let his hands come together in the form of the ox. This was the beginning, not just for the jutsu but for himself, this was to show simply how far he had come. His hands would slowly slide to take the hand sign of the monkey and then to the hare. Rat would come next, then the boar and the bird there after. His hands came back to that of the ox and then to the horse. The sign for the bird was next and then came the rat and the tiger and the dog. The tiger came one again and the snake followed suit. He had covered all of the normal hand signs now and it wasn't even halfway. The ox hand sign came back and was transformed into the ram, then the snake, the boar, the ram and then the rat and he had reached the midway point. The hand sign that came next wasn't one that was normally used as it did not take the form of the usual zodiac animals. This was the sign for yang water, looking as if it was water crashing over one another. He glanced to the water and it seemed unchanging, seeming no effect up to this point but it would not put him down. Monkey, Bird, Dragon, Bird and then Ox. He was drawing ever closer to the jutsu's completion. Horse, then the ram, then the tiger and then the snake. Though it may not seem it on the outside, he could feel the raging torrent within him, he could do this, he knew he could. Rat, monkey, hare, and then the boar and he would quickly continue on with the dragon and then the ram. He could not let the pace slow or diminish or he may fail. The rat, the ox, the monkey, the bird, all fluidly changing from one to the other. The yang water sign appeared and this time, he began to feel it more than before. The rat would change into the boar which in turn would turn into the final hand sign and with the sign of the bird, he would call out. "Suiton, Suiryūdan no Jutsu. Water Release, Water Dragon Bullet Technique!" And with that, the water behind the man erupted upward, seemingly the entire stream taking the form and shape of a massive torrent of a dragon, yellow glowing eyes and jaws that could crush anything. Lee would hold his arm out as if to direct the dragon toward a single tree that he had designated as his target of choice. As if on cue, the echo of what one could only assume to either be a roar or a tidal wave, the dragon dove straight forward at that very tree. What followed was something that was astonishing and only let Lee's smile grow to something pure. The dragon had crashed and continued, not only taking down the targeted tree, but also leaving a straight path of torn trees but most had been dragged along the wake of the dragon, leaving literally nothing less than utter destruction. The snow had been washed away so that he ground was visible. Though even that was not left untouched. The ground was torn into and roots littered the path left by the dragon's wave. This was everything he had hoped for and was well worth the past failures. It caused this one victory to be worth it. Lee could not keep his own joy in as he threw his arms up in victory but stopped almost instantly. There was something wrong. He would bring his arms down and let his hand rest on his chin in thought. He remembered the jutsu being long but there was something else. He remembered that there was someone who knew this technique but did not use nearly as many hand signs, this jutsu held the record for the most but there was another way... why could he not remember it. He knew it was the same technique, it was not something easily mistaken but he also recalled a simple hand motion with the same destructive results and power. What was it and how was he going to replicate that for an actual battle against someone who isn't going to give him the time to take all the hand seals into account. He did not have a solution at that moment right then but he did have an idea. It would require that he continued the constant use of the water dragon bullet to a point that it was second nature. Though it sounded good in theory, it would be completely different in practice. He had taken so long to do just this one and he would have to do this a good number of times and he might not be as good at it as he just did but he had to work himself down to the blood and bone. He would begin again, weaving the hand signs slowly but this time without any moment of pause between them. They all seemed to be an equal amount apart from one another now and as he reached the end, similar to what he had done before, a dragon rose up from the stream behind him but instead of ruining more of the forest, he simply let it crash down further down the river. It did not seem as big as it was when he did it before but he didn't care, again. He would weave the hand seals yet again in the same pace and reply the same results in the same fashion. Lee had lost sight of time at this point. 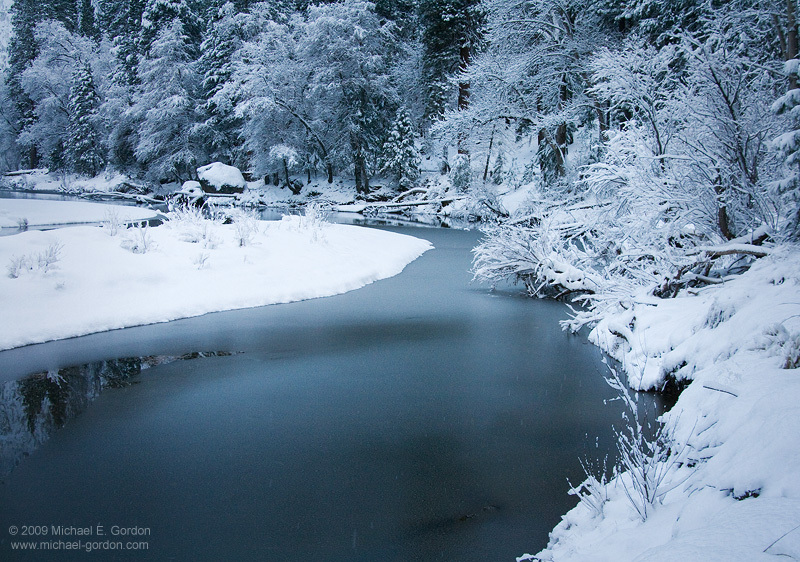 The bank of the stream was devoid of snow from all of the water rushing from the constant use of the jutsu. Lee was breathing roughly and his legs were shaking, as was his body. Because of the constant use of the jutsu, he decided at some point that keeping his bloodline limit active would take away from the water dragon jutsu so he had been feeling and lost the feeling of his hands. He kept the jutsu active in his legs so frostbite wouldn't take them and he would occasionally pause to force circulation to keep things going. He would take in a deep breath and then exhale and closed his eyes, trying to image the gestures of the simplified hand sign. It was a sign, a single sign and it wasn't of the normal zodiac. 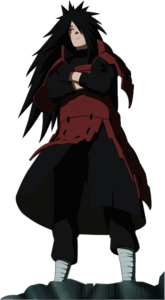 He would move a hand up and quickly gesture outward "Suiton, Suiryūdan no Jutsu!" At his back, the water rumbled and shot up into the air in the form of a dragon, coming down in front of him in a crash. It wasn't at all as large as his first or even his last one. But it worked. It actually worked. He would have to keep this up till it matched what he wished but for now, he would have to get out of the water and actually get himself warm. As focused as he was on his training in the jutsu arts, there were things that were more important to him. Lee's eyes slowly opened or at least, to himself, others would simply see the typical slanted eyes. He would reach over and take hold of the katana that was just within reach of his hand. His fingers would wrap around the hilt of the blade tightly as he would bring it over himself. He was a swordsman first and foremost and it was something that he could never forget nor could he ever let his skill rust. Skill. It was a word that many threw around but just how many actually possessed it in more than just word alone. He would sit up from his resting position and hold the blade out straight, looking down the line that was the blade's edge. It was as sharp as ever but he did not see why it would be any other way. It was because of this that he would pull himself up to his feet and move both hands onto the grip of the sword. He could not let his swordsmanship skill go unchecked and to help this, he would train one of the hidden techniques of the hidden glacier. He thought of trying for the E rank skill but that seemed to be far to easy and he wished for something that would not strain him to much but at the same time, would actually be worth the effort. The Toraianguru then came to mind. It was a skill that was difficult to master but held so many uses that would surely end many lives that came against him. The ability to strike so fast that those blind spots were no longer an issue. You were safe to keep your eyes ahead of you whilst any that wished undo harm from sneak attacks were rendered moot and the counter could be fatal. It brought a smile to Lee's face that filled him with absolute joy. The joy that only a swordsmen could feel when their blade was worth their life and it could strike down all who would oppose them. Lee readied himself in an area where there were no trees in his immediate area or in striking range. He would have to get the stance and style right before actually aiming to use it on objects. He would look down at the position of his feet and then look to his left and then to his right and once over his shoulder. His form seemed flawless enough but in the heat of battle, one rarely has the ability to get clam before executing a maneuver. Lee would then quickly bring his sword to his side and would just as quickly slash directly in front of him. There was pause. He would then let out a breath as he would then sheath his sword and kneel down onto the snow and begin packing it. Soon, he would have a small snowball and he would begin rolling it in more snow, its size growing with each rotation. He did this a few other times till there were four badly created snowmen on each side of him, behind him and in front of him. While solid targets were out of the question, he did need something to judge if it was actually connecting with something and snow would do that job perfectly. He would position himself in the middle of the snowmen and place his hand on his sword and draw it from its sheath. He would take in a deep breath and crouch only slightly as he looked dead at the snowman before him. He would then quickly draw his sword as he would slash in front of him once more in a movement that seemed to fast to be true. Lee already knew that when he held the katana that his power and speed knew no equal. He was used to swinging around blades and hunks of metal that would make others weep. But this was not enough as Lee would look around and find no differences to the snowmen around him nor the one in front of him. He would walk closer and examine each one and he would find something. While the one's he wanted to cut were not changed, the one in front of him had been cut so cleanly that the cut couldn't be seen. He would curse under his breath, this was not what he wanted and was unacceptable. He would take his position again and try once more but again, the result did not change. He did this again and again and again and each time he felt nothing different. What was he doing wrong? Usually he was on his game the best when it came to swords and skill that would involve them. He thought that using the katana would make this easier and he would aim to upgrade to his larger weapons but at this rate, he wouldn't be able to do anything of the sort. He paused. "Wait a minute." He would look down at the weapon in his hand. That had to be it, he was assuming that because it was smaller that he wouldn't have to put as much force into it but even that wasn't the problem. He had to adjust himself to the size of the weapon, each one had its own way of how it was operated and handled. To treat it as a lesser weapon because it was smaller was wrong and he couldn't believe that he had done such a thing. He took in a deep breath and then released it. He would hold the weapon in both hands this time and tightened his grip on it. His eyes opened slightly as he would seemingly stare through the snowman before him. It wasn't there, he didn't perceive it as a threat or a target. It was those around him that were the ones. "Hyouga-Ryū Toraianguru, Glacier-Style Triangle!" And with that, the sword would re-appear at his other side and the snowmen at his sides and behind him had their upper halves removed while the one before him was untouched.